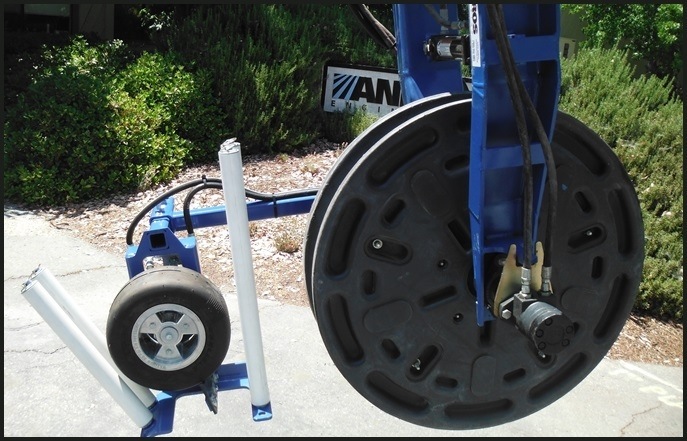 Our EZ-Wind Driptape Retrieval System is designed to dig and loosen while simultaneously coiling irrigation tape for disposal. The clamshell spool design can easily handle full quarter-mile length runs. 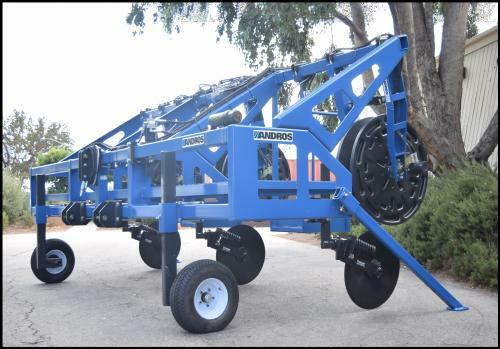 Andros's digging platform\'s can be customized with a variety of tools designed to free tape from all types of soil conditions. 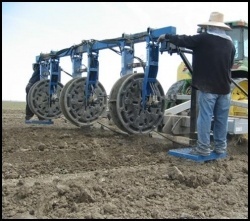 Platforms are adaptable to any row spacing and can extract tape. from depths up to 12-inches. Automatically matches extraction speed to tractor speed. Clamshell style auto dump heads. UV poly flange sides with steel core. Custom adaption's for pre-existing platforms.